The Ontario NDP says it has obtained a draft of a government bill that would dissolve the province's Local Health Integration Networks and create a "super agency" to oversee the health system. Ontario's Progressive Conservative government says it is committed to strengthening the province's public health system after the NDP leaked a draft of a government bill that calls for the dismantling of regional health agencies. The draft bill, which has been confirmed as authentic by the PCs, would dissolve the province's Local Health Integration Networks (LHIN) and create a "super agency" to oversee the health system. 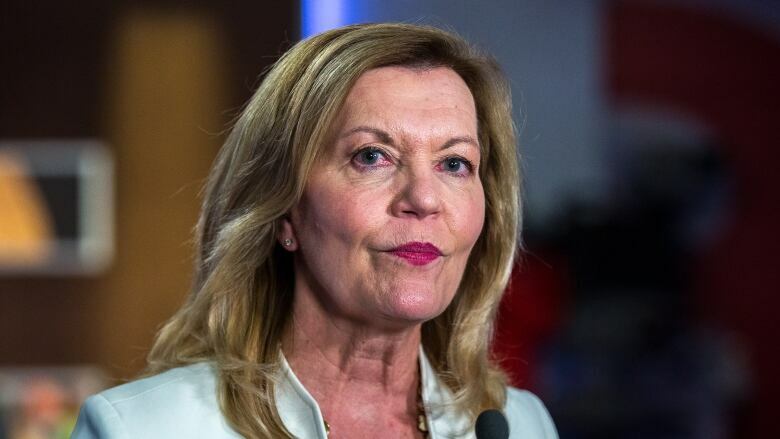 However, Health Minister Christine Elliott dismissed claims by NDP Leader Andrea Horwath that the Ford government intends to further privatize the health-care system. "She got pretty much everything wrong," Elliott said. "We are committed to our public health-care system." The bill appears to confirm what CBC News revealed earlier this month — that the Ford government intends to scrap the LHINs and replace them with centralized oversight. Elliott did not provide any specific details about what she called the government's "transformative strategy" on health care. The bill is called the Health System Efficiency Act. It gives the health minister and the so-called super agency the power to force the mergers or closures of any institutions that provide health services, such as hospitals, long-term care homes or community health centres. During an earlier news conference at Queen's Park, Horwath said the ultimate goal of the bill is to reduce public health services. "It's very clear in this bill that the privatization of health care is the agenda," Horwath told reporters. She said the bill would allow the new agency to "farm out" health-care services to other organizations, including private corporations. It also proves the PC government has made up its mind on health-care changes, and that it will not be conducting public consultations in good faith, she said. "Health-care privatization in our province is a non-starter. It's a deal-breaker," Horwath added. "And if Doug Ford plows ahead with this health-care privatization bill, he has got one hell of a fight on his hands." The text of the bill says the minister may "order one or more health-service providers … to do anything to integrate the health system including to stop providing certain services, to transfer its services to a different location, or to cease operating entirely." Horwath said the draft bill was delivered to her staff late Wednesday, though she did not say who provided it. However, Elliott refused to say if the proposed changes would allow for a further privatization of health-care providers, including hospitals. She did say there would be no changes to the Ontario Health Insurance Plan.